Look no further! 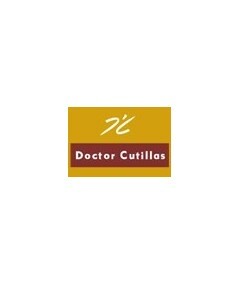 if these tired footwear that does not relieve you feet headaches these shoes Doctor Cutillas will be your best choice. Do not suffer more sufras pains of feet, see the comfort with the new line of shoes sport Doctor Cutillas, created to make you walk on "cotton"
this model Doctor Cutillas is available in two combinations so that you can choose which best fits to you. -Black, with different textures of skin, to achieve a result spectacular and very easy to wear with all kinds of clothes. -Brown, also combined with skins of different finishes and a luster that will highlight any look. abroad is natural leather with different finishes ranging from the metallic to the skin with a subtle glitter effect. Have the backing of micro polar touch fiber, to provide a great warmth and comfort. Templates are anatomical and removable to exchange them for custom templates. They have a rounded toe of great width, to ensure comfort and prevent pressure. Lacks details, basing the design on the contrast of textures of skin. Buckle with double Velcro in the upper part of the instep, which guarantee a perfect fit of the foot along with elastic. Floor is flexible and non-slip rubber, with a small wedge that measures 3 cm. height. Manufactured and designed in Spain by Doctor Cutillas. Doctor Cutillas does not propose a few trainers to walk really comfortable and completely current, modern style where subtle contrasts of skin form an elegant and easy-to-use design. Fueron un regalo para mi madre que tiene unos pies muy delicados y grandes. Producto muy cuidado, ideal, además la variedad del tallaje hace la elección muy fácil.